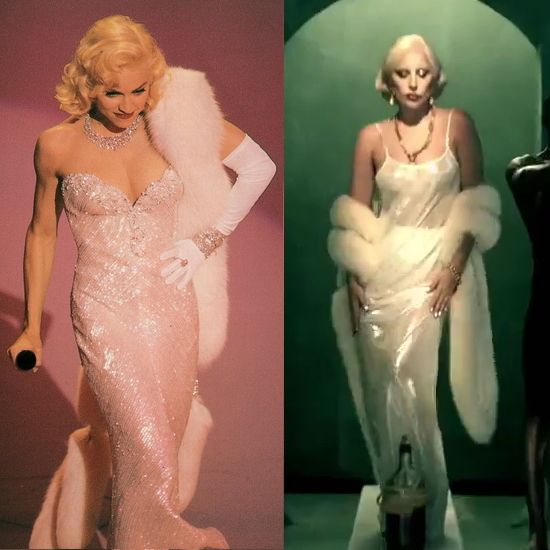 Lady Gaga channels Madonna in latest American Horror Story trailer? A few weeks ago, Lady Gaga told CR Fashion Book magazine she would rather be called the next IRON MAIDEN than be compared to pop veteran Madonna. 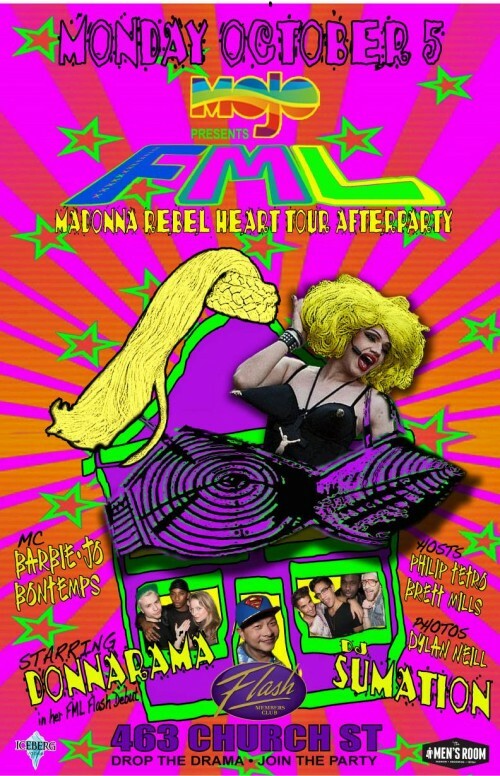 I think she’s great, and I agree with her – she’s not the next Madonna. She’s way better than that. Because, first of all, she can sing, she’s got a belter of a voice, and she’s a really good instrumentalist. She’s got a great sense of drama. And anybody that could turn up to an awards ceremony dressed as a bacon sandwich gets my vote. I mean, she’s great. Usually it’s kind of a weird thing when you meet someone who used to have a big love thing with your dad, but when that person is Madonna, it instantly becomes cool. Sean Penn introduced his daughter, Dylan Penn, to his ex-wife Madonna after the superstar’s NYC concert on Thursday, Sept. 17. She had never met Madonna before, but Madonna was really sweet to her. Madonna and Sean have stayed close friends over the years, so of course she embraced Dylan. 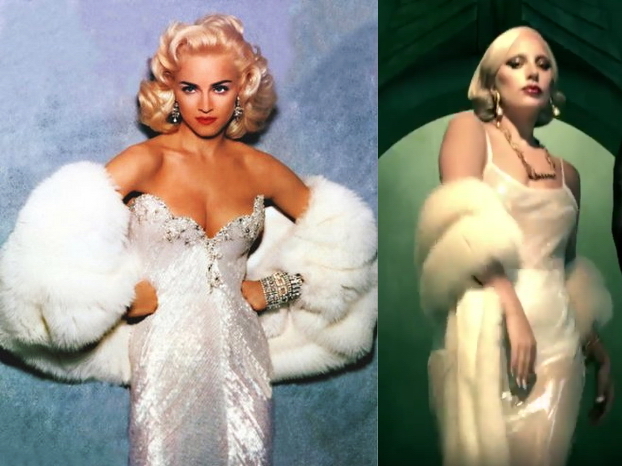 Madonna vs Lady Gaga: Who sang it better? Billboard.com is holding a poll to figure out who sang Edith Piaf’s “La Vie en Rose” better: Madonna or Lady Gaga? A dance film noir about a butler’s morbid love for his master. This short film uses explicit references to some of the most famous murder scenes in film history – “Silence Of The Lambs” from Jonathan Demme, “Snow White And The Seven Dwarves” by David Hand, “Psycho” by Alfred Hitchcock and “The Shining” by Stanley Kubrick – and is a tribute to Jean Genet’s play “Les Bonnes”. Announcing a new partnership with mobile entertainment app go90, DanceOn is expecting this move to place its premiere entertainment-focused platform ahead of the pack. Madonna co-founded DanceOn, alongside her longtime manager and business partner Guy Oseary, Amanda Taylor and Machinima Chairman Allen DeBevoise. The list of investors includes DeBevoise, AMC Networks, Third Wave Ventures, Plus Capital, and Luminari Capital among others. With an expansive network that boasts more than 4 billion total views, 25 million subscribers, and over 40 million fans across platforms, DanceOn stands as the largest entertainment network for dance-related content on any platform. Celebrating music and dance throughout pop culture, the digital media company is a dominant force with tremendous influence amongst a prime millennial audience. Fueling massively viral dance trends tied to chart-topping hits such as “Trap Queen”, “Watch Me Whip / Nae Nae”, and “Hit The Quan” — DanceOn is widely regarded for its user-generated challenges and docu-series that have featured globally renowned acts like David Guetta, Diplo, and Sia.